Bringing together the latest empirical evidence with a discussion of sociological debates surrounding inequality, this book explores a broad range of inequalities in people's lives. As well as treating the core sociological topics of class, ethnicity and gender, it examines how inequalities are experienced across a variety of settings, including education, health, geography and housing, income and wealth, and how they cumulate across the life course. Richly illustrated with graphs and figures showing the extent of inequalities and the differences between social groups, the book demonstrates how people's lives are structured by inequalities across multiple dimensions of their lives. Throughout, the text pays attention to how we know what we know about inequality: what is measured and how, what is left out of the picture, and what implications this has for our understanding of specific inequalities. Importantly, the book also highlights the intersections between different sources or forms of inequality, and the ways that bringing an intersectional lens to bear on topics can highlight and challenge the assumptions about how they operate. Designed for second-year undergraduates and above, this book provides an engaging overview of social stratification and challenges readers to think about how inequalities are embedded across society. Lucinda Platt is professor of sociology at the Institute of Education. 3.3 Gender and domestic work: women's double burden? "This book is an absolute blockbuster on the state of inequality in Britain! With razor sharp intellect Platt explodes the myth of a classless, affluent, equitable British society by deconstructing the politically charged realities of decreasing social mobility, child poverty, and the growing divide between rich and poor. No politician, journalist, policy maker, academic or student who cares about social justice should be without this authoritative book." "Lucinda Platt has written an admirably lucid text which provides a concise assessment of how to measure and interpret inequalities across key dimensions of contemporary British social life. This will be an invaluable aid for students and researchers alike." "Lucinda Platt has produced a masterful overview of the main contours of inequality in the contemporary UK. 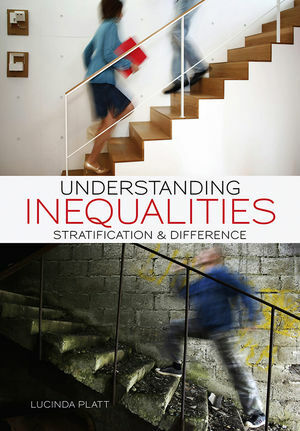 With its creative treatment of recent theoretical developments and insightful summary of empirical research, Understanding Inequalities is both a valuable textbook and an important contribution to scholarship." "An excellent collection of empirical material."